It features larger gathering spaces and more technology than its predecessor. On January 26, the 15,000-sf Mission Hills-Hillcrest Harley & Bessie Knox Library in San Diego opened to the public. The $17.9 million, one-story facility, whose construction was officially completed on February 5, is four times larger than the former library branch, and is serving the Mission Hills and Hillcrest neighborhoods. 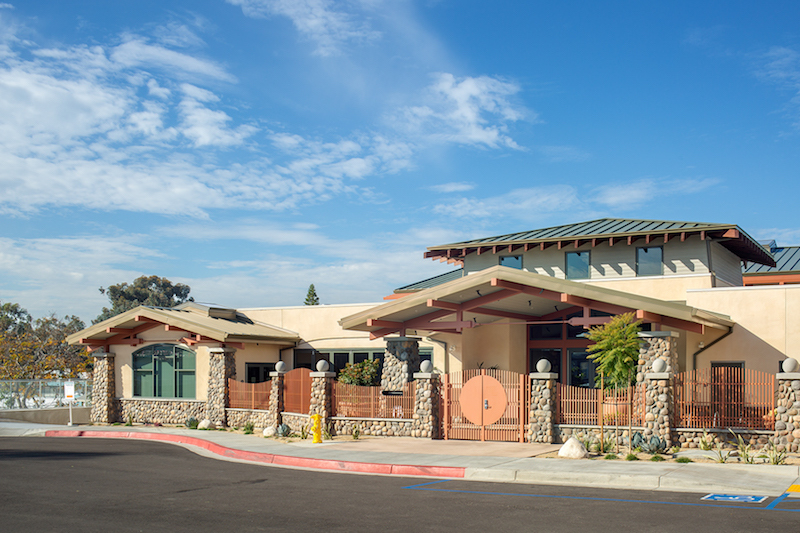 This is the fourth library project in the San Diego area constructed by general contractor C.W. Driver, which also celebrates its 100th anniversary this year. “As with any of our civic projects, the C.W. 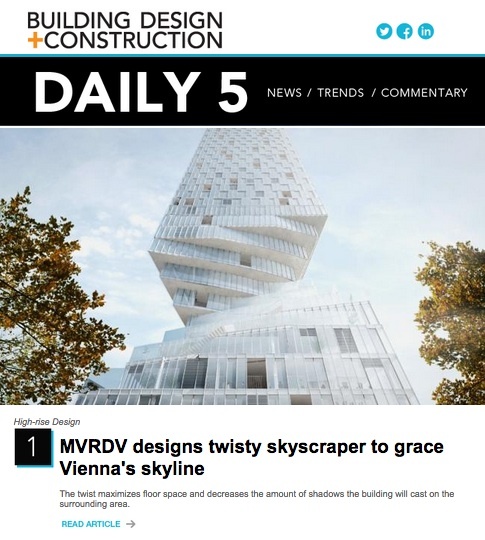 Driver team is proud to construct a sustainable building that leaves a lasting impression on the local community,” said Andy Feth, C.W. Driver’s project executive. 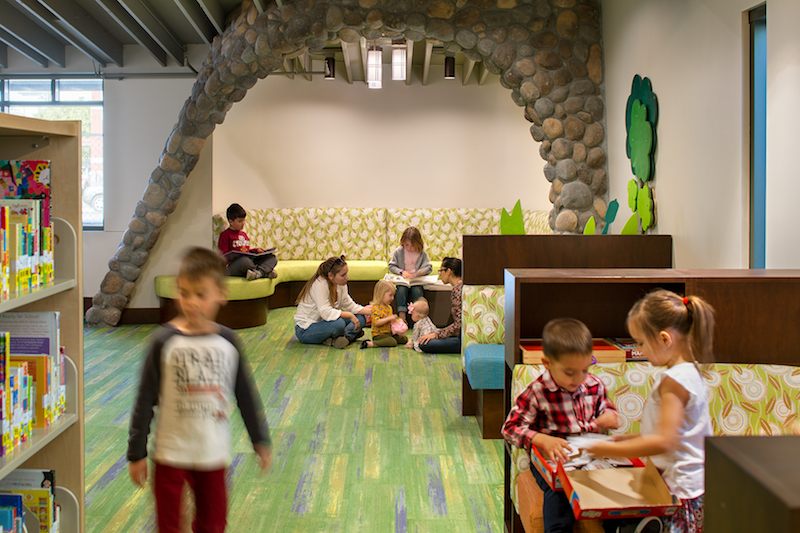 The Mission Hills-Hillcrest library was built from bridging documents, and designed to meet LEED Gold standards. (There’s a solar-panel array on its roof and drought-tolerant plants on the grounds.) The building includes a 30,000-sf, two-story underground parking garage with 85 parking spaces, 76 more than the previous library. The library’s design, by Ferguson Pape Baldwin Architects and Manuel Oncina Architects (the latter being AOR), combines craftsman and contemporary. Its Mission-style entry leads visitors to a lobby with 25-ft-tall ceilings, trusses, trellises and a skylight, which flow into a reading room. A community room, which opens onto a 1,400-sf outdoor patio, is the focal point for the library’s programming, which will include gatherings, hosted author talks, and civic events. One of the library’s first guest speakers was author Susan Orlean, who discussed her latest book, “The Library Book,” which recounts a 1986 fire that destroyed the Los Angeles Public Library and the role that libraries play in their communities. Other Building Team members for the Mission Hills-Hillcrest project—which started with the demolition of the old International Brotherhood of Electrical Workers building in May 2017—include San Diego-based Architects Mosher Drew (Bridging Documents Architect), Snipes Dye Associates (CE), Van Dyke Landscape Architects (Landscape Architect), Coffman Engineers, Associate Mechanical Contractors, McParlane & Associates, Rowan Electric, ELEN Consulting, and Mechanical Building Optimization (Consulting Engineers). The original Mission Hills library opened in 1961 with 3,850 sf of space. The new facility is named after Harley Knox, San Diego’s 25th Mayor, and his wife Bessie.